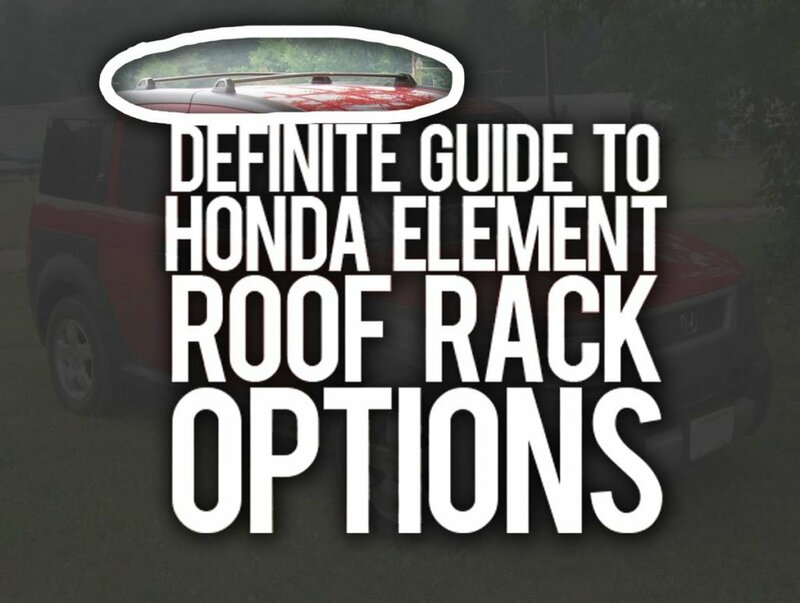 So you want to buy a Honda Element Roof Rack? The main attraction of the Honda Element is the versatility the vehicle delivers. Whether you intend to use it for camping or it’s ability to pick up large payloads such as a motorcycle in the rear of the element, the amazing versatility of the Honda Element is probably it’s favorite feature of all Honda Element owners. In an attempt to add even more functionality to the Element, most owners will eventually want to add some kind of roof rack or roof basket option at some point. In this article I will take a full look at all of the options we have when it comes to adding extra storage to the roof of our Elements. The most obvious option is to buy the OEM roof rack. I think this would be obvious as the best purchase, but it’s price tag, if you can find one, is a downfall all of its own. Amazon has it listed, in all it’s OEM glory, at a whopping $295.33! Keep reading to find out how you can put that money towards building a DIY roof rack for your Honda Element. If you are lucky enough to find one second hand for under $150 I would probably jump on it! If you don’t end up using it you can always re-sell it for a nice profit! OEM accessories for the Element only seem to go up in value. Doing a quick search on craigslist for a “Honda Element Roof Rack” might be your first step to owning an OEM rack. As a right-out-of-the-box bolt-on option I still think this is the best option, well unless you need to carry more weight than its rated for, which I believe is 75 lbs. I would bet the OEM version of the Honda Element Roof Rack is more than most of us want to spend on an accessory that can barely carry the things we plan to throw on it. There is of course the knock-off third party replica version of the OEM rack. Well actually scratch that, I cannot find the knockoff ones anymore on Amazon or eBay. I was going to link it here so you can see the price savings but there are tons of people on forums who have bought the aftermarket replica rack and have only negative things to say about it. I was going to suggest you NOT buy it anyways. What other options do we have? As with all things cars, it often turns out making your own version of something usually ends up the best option. You can make a Honda Element Roof Rack that is much cheaper and a whole lot stronger (which means you can carry more weight) than its OEM option. There are plenty of unique builds online and I’m sure most of you Element owners are creative people who can come up with great ideas all on your own. But I am putting this article together to showcase some of the best builds (that I have found) out there. Let’s go over the best pre-made and home-made Element roof racks out there! Of course this list wouldn’t be complete without mentioning the rolls royce of roof racks specifically made for the Honda Element, The Gobi Stealth Rack and The Gobi Ranger Rack both coming in at a whopping $1,495 which is exactly half the price I paid for my entire Element. Too much in my opinion as I would rather own half of another vehicle than a couple pieces of metal welded together. This is the most baller rack money can buy and if you don’t care about money and want the functionality for sure this is the best rack you can get. Another option is from TPS Lizard on EOC. 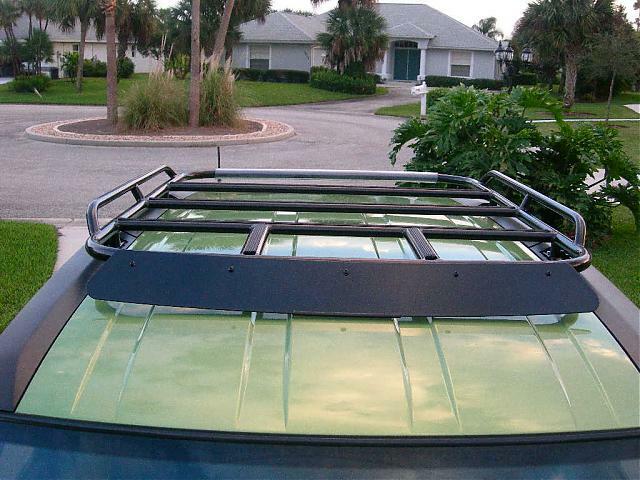 He created a very high quality roof rack solution that he sells to members for $750. I think this rack is very well made and seems super sturdy. It would be great to throw a full size spare on it and I love how the sides have those angled-up pieces so that you can secure your gear down. It’s a great design coming in at half the price of the Gobi racks and also half the size of the Gobi. I’m not even 100% sure he still sells them but you can click the picture to the left and reach out to him if you are interested. Is DIY is the Best Option for you? When it comes to Honda Element roof rack options I think we can all agree that buying an OEM rack or a ready to install rack can be quite costly. If you are good with tools and would like to make something yourself I think that building your own rack is one of the best ideas. It will save you the most money to put towards the gear you are going to haul. You could easily buy a kayak with the money you will save by building your own Honda Element roof rack. 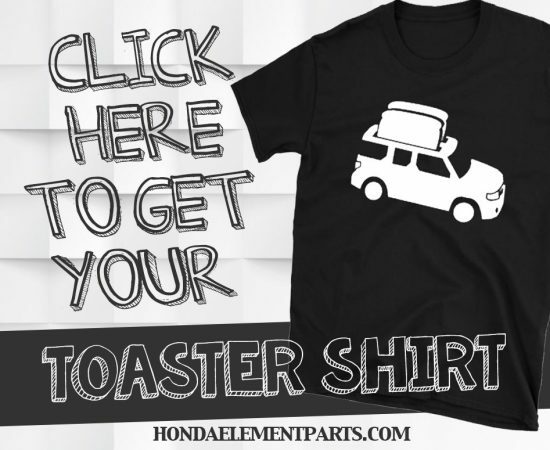 If you are feeling creative and want to put in some elbow grease to create your own DIY Honda Element Roof Rack then you are in the right place. To get started making any rack we need to take a look at the feet. This is going to be your foundation to any kind of rack you set out to create. While looking online I found these interesting brackets on Amazon but their price tag is really high for what you are getting. Seriously $96.39 for these? I will show you how to make these for much less. But I wanted to show you these as a foundation for our DIY rack. We can start with these footers as a foundation which many things can be built off of. 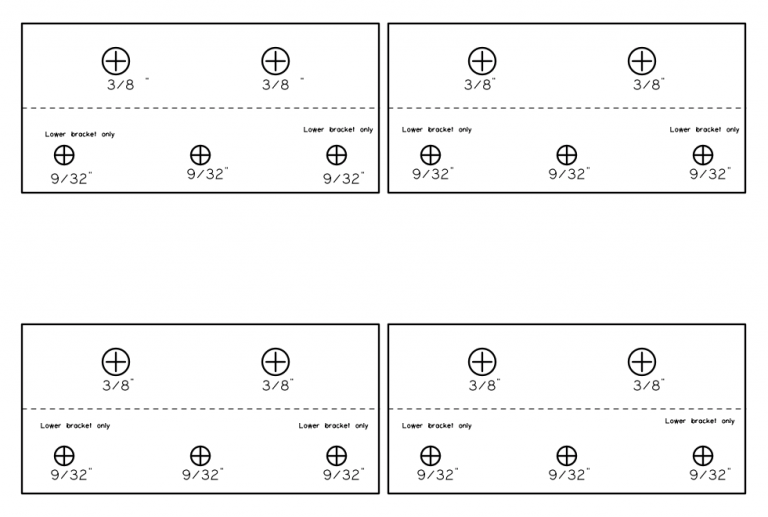 Thanks to the wonderful community of Element Owners over at Element Owners Club and the good work of user TwilightZero you can download a printable template to help you get started making your own brackets. By far the best DIY Honda Element Roof Rack I have seen is by Sticks, Stones and Iron on YouTube. He uses angled brackets which you can buy at Menards or Lowes locally. He makes the brackets to fit his Element and then cuts grooves into tubes and secures them using PTO Quick Release Pins. I think this is by far the most genius setup for creating the feet and the bars in your DIY roof rack setup. He then goes on to use Kee Klamps and 3/4th inch pipes (the same as the Yakima Bars) to create his crossbars. This way you can use any Yakima Accessory to mount to your homemade Roof Rack. Genius! The same YouTuber created another Honda Element Roof Rack using Aluminum tubing. I really like this guy’s work and I encourage all the DIYers out there to give his videos a watch to get some inspiration to get out there and create your own Roof Rack for your Honda Element. 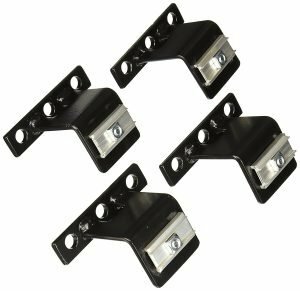 I hope this blog post helps to inspires you to create your own Roof Rack for your Honda Element. If you are not feeling up to making your own roof rack, hopefully I showed you enough options that exist to purchase the rack that is right for you. If you have any questions please leave them below and I will answer them all to the best of my ability. PLEASE USE CAUTION WHEN CREATING YOUR OWN ROOF RACK. PLEASE DO NOT PUT ANYONE IN DANGER WHILE DRIVING DOWN THE ROAD WITH GEAR ON YOUR ROOF. ALWAYS STRAP EVERYTHING DOWN SECURELY. BE SMART.